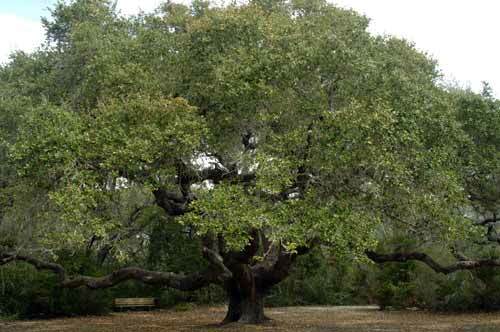 The Big Tree at Goose Island State Park was named the State Champion Coastal Live Oak (Quercus virginiana) in 1966. It was dethroned in 2003 by the San Bernard Oak on the San Bernard National Wildlife Refuge. 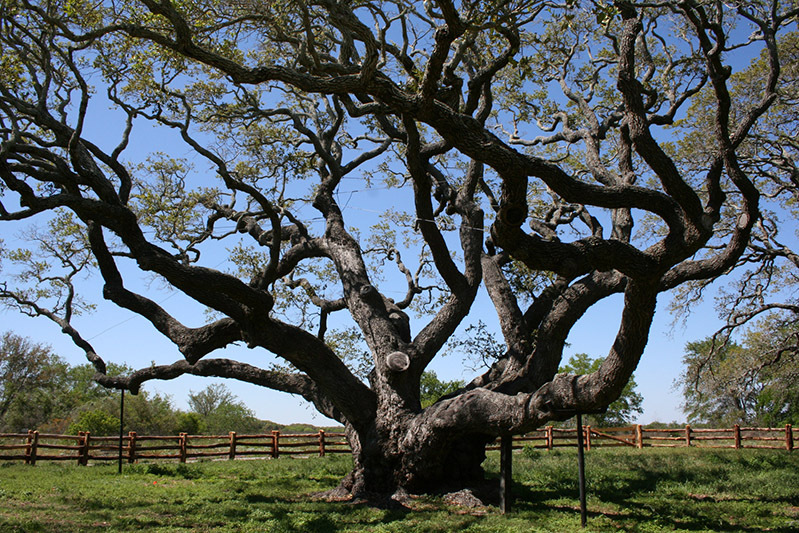 The Big Tree is still one of the largest live oak trees in Texas and in the nation. Age: Exact age is unknown - but it is centuries old. I am a live oak tree and I am very old. I have seen spring return more than a thousand times. I can remember hundreds of hurricanes, most I'd rather forget, but I withstood. There was a big fire once. I hate fires. For most of my life I belonged only to myself. Now I belong to you, or so I'm told. Humpf! Branch breakers and root tramplers the lot of you. 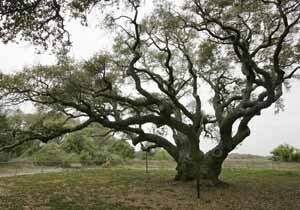 Some years ago someone came and patched my cracks, trimmed my dead branches, killed my pests and healed my fungus rots. Was that you? I'm feeling much better, thank you.